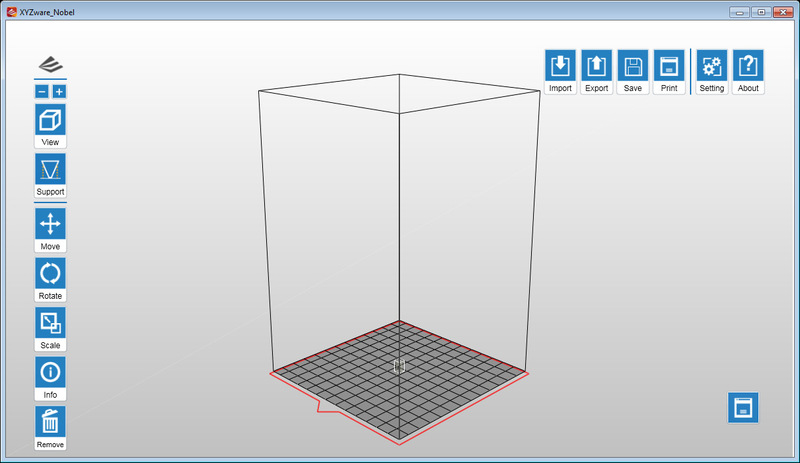 When talking about affordable 3D printers we often mean device that use the most common FDM/FFF technology for extruding thermoplastic materials, a good start for a first 3D printer. Sooner or later you start thinking about upgrading to a better quality and then the next step is SLA or Stereolitography 3D printer, but when you reach to that point you will notice that there are actually not that many devices targeted at consumers that are affordable priced. This is however about to change with SLA technology getting more attention and available products and one such upcoming product is the Nobel 1.0 SLA 3D printer from XYZPrinting that should be available for $1499 USD. 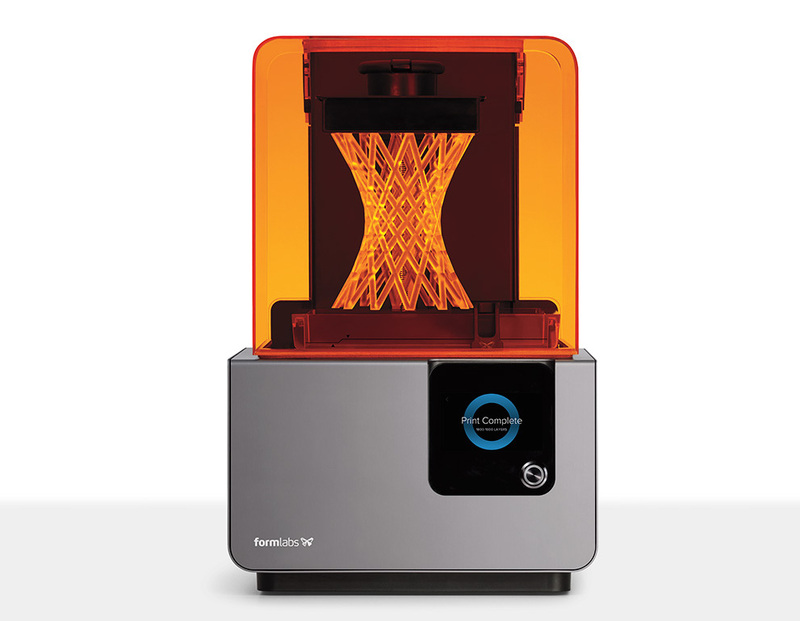 We have already mentioned the company with their affordable da Vinci 3D printers. 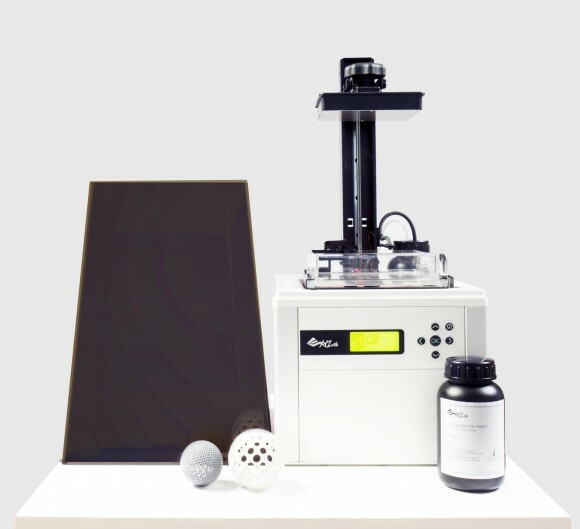 The XYZPrinting Nobel 1.0 SLA 3D printer uses liquid resin material that is being solidified by a laser resulting in the 3D printed model that you want to make. 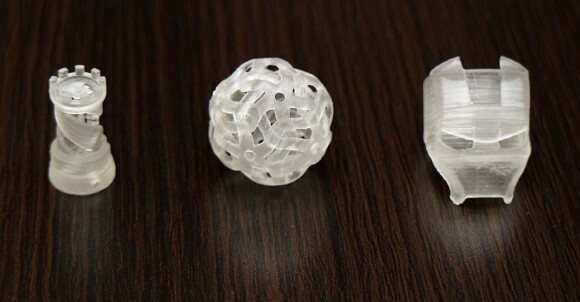 The Stereolitogaphy technology allows for achieving higher detail levels and the printed parts do have different mechanical properties than what the commonly used ABS and PLA thermoplastics used by FFF/FDM 3D printers. The Nobel 1.0 as well as with many other more affordable SLA 3D printers is that they have a more limited build volume, here it is 128x128x200 mm. So do not expect to be able to print very large objects with this device, though the build volume is not that small and you can also split larger models in smaller parts that will be joined after the printing. One interesting thing about the Nobel 1.0 3D printer is that it comes with an auto refill system that will automatically keep the liquid resin level in the printer’s tank by adding more when needed, so no need to monitor the level and manually pour additional resin. The Nobel 1.0 SLA 3D printer is already listed on the XYZPrinting website, but is not yet available to order. 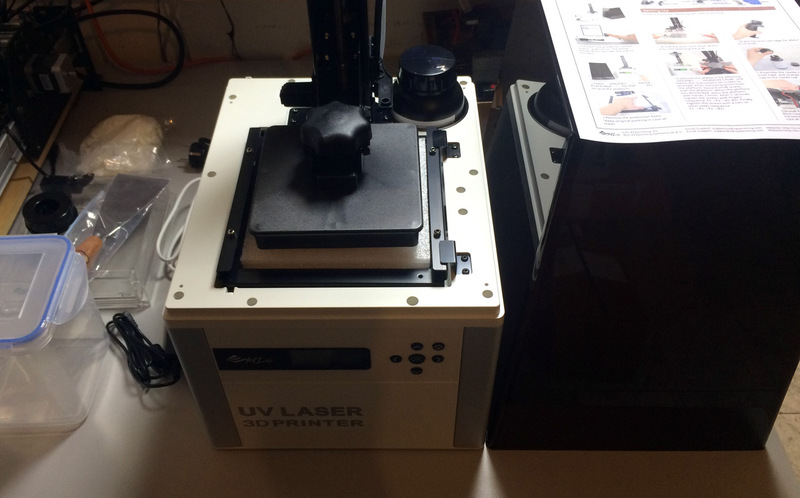 Another thing that is important regarding the device is the availability and price of the liquid resin (photopolymer) that the printer uses for building the 3D printed parts from. This material is also more expensive than thermoplastic filaments, so it is important for an affordable SLA-based 3D printer to also come with a good price and wide availability of liquid resin materials to use along with it. These are however still not officially announced and there is also no pricing information about the resin used by the Nobel 1.0 SLA 3D printer yet, though the device will most likely be also compatible with resins for other similar devices as well.